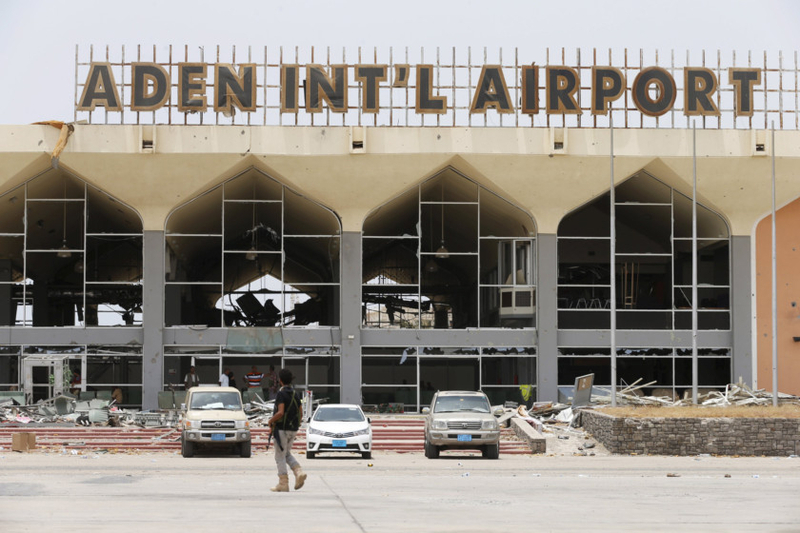 Aden: Yemeni forces allied with a Saudi-led coalition fought Al Houthi militia for control of the country’s largest air base north of Aden on Sunday, local residents said, hours before a humanitarian truce declared by the coalition was meant to start. The Al Anad base, 50 km from the major southern port city, has been held by the Iranian-allied Al Houthi militia for much of the civil war, and is regarded as a strategic asset commanding the approaches to Aden. The Arab coalition on Saturday announced a ceasefire to take effect at 11.59 p.m. (2059 GMT) on Sunday evening for five days to allow for the delivery of humanitarian aid. But the truce was cast into doubt when Al Houthi leader Abdul Malek Al Houthi was reported to have rejected it. “The battle goes on and the war is not over,” Al Houthi was quoted as saying in a message posted on the group’s Twitter account. The Iranian-allied Al Houthi movement accuses its Saudi-supported foes of being in cahoots with Islamist militants like Al Qaida, something the coalition denies. Al Houthi forces held up 16 trucks carrying humanitarian aid from the World Food Programme through Yemen’s Al Hudaydah province to support displaced persons in the major city of Taiz. Four months of air raids and war have killed more than 3,500 people in the Arabian Peninsula state. Aden has suffered especially, with severe shortages of fuel, food and medicine. The Arab coalition, allied with southern secessionist fighters, retook much of Aden last week in the first significant ground victory in their campaign to end Al Houthi control over much of Yemen and restore exiled President Abd-Rabbu Mansour Hadi. Al Houthi fighters and army units loyal to former president Ali Abdullah Saleh captured Aden at the outset of the war, prompting Hadi to flee to Saudi Arabia, an ally along with the United States. Aden and other southern provinces have been largely inaccessible to UN food aid, and about 13 million people -- over half the population -- are thought in dire need of food. Coalition warplanes carried out raids near Sanaa late on Saturday and shortly after dawn on Sunday, residents reported, adding that the targets included a military base near the city. In the city itself, a bomb exploded underneath a passenger bus, killing three people and wounding five in the southern/sdistrict of Dar Selm, police said. No further details were immediately available. Ali Ahmedi, a spokesman for anti-Al Houthi forces in Aden, said they continued to fight Al Houthi forces at the Al Anad base and had damaged aircraft, tanks and equipment stationed there. Residents said forces of the so-called Southern Resistance, a secessionist movement allied with the coalition, had taken and Sabr, a northern district of Aden. The residents reported 25 Al Houthis and 10 Southern Resistance fighters had been killed. The Saudi-led coalition began its campaign on March 26, striving to reverse months of advances by the Al Houthis after they moved from their northern stronghold last year, capturing the capital Sana’a and pushing south to Aden.